What Are My Sports Cards Worth? The Best Online Resources for Finding the Value of Your Cards. 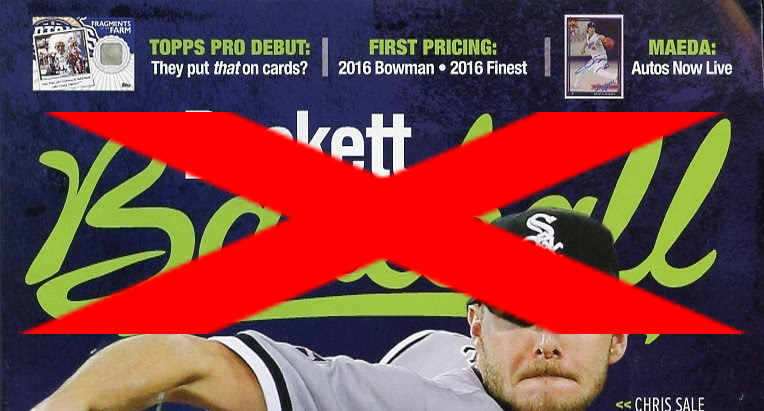 For years Beckett has been the authority for sports card related prices. Their monthly publication was the gold standard for collectors who were looking for information about what their sports cards are worth. In today’s digital era, monthly publications are outdated the minute they are printed. The secondary card market moves at a per-second basis. Single game performances by players have dramatic impacts on the values of players cards. With a majority of collectors moving to eBay to buy and sell their cards, the data that eBay has from sales history provides collectors with a much clearer and accurate snap shot at the current market values of their cards. However, navigating the historical and completed auctions on eBay can be tricky. Here are a few our favorite free resources online that give you some pretty detailed information about the current value and trends as it relates to your sports cards. A few years ago eBay decided to remove the best offer sales pricing information from their website, but sortsof.com helps you see those best offer prices and final auction prices for all auctions. Unlike all other tools, sortsof.com smart design allows for you to search for multiple at items simultaneously so that you can compare and contrast the prices of multiple items at once. The site will remember your search queries so the next time you visit the site from the same computer, you can just pick-up where you left out. Best of all, no registration is required. Another gap that eBay has on their website is that they currently only elect to have an email or push notification sent to you when a new item matching your search terms is listed. worthster.com has taken that concept and reversed it. Allowing you to add search terms to your dashboard and they will send you a nightly email with all of the sales that occurred that day. Your dashboard also gives you access to a historical graph of sales data, giving you some early indicators around when the best time to buy or sell a particular card may be. You are required to register with this website, since they need your email address to send you your nightly email summary of sales data. Both of these sites rely on using eBay search terms to help you find your cards values. Here are a few tips to help you understand how to use better search terms to narrow in and the most accurate pricing information that you can. If you are interested in knowing what your 1986-87 Fleer Michael Jordan Rookie is worth, you may get hundreds or thousands of results. Try using some keyword operators to filter out unwanted search results. By removing some keywords like -psa -bgs -sticker -set -reprint -pack -sgc you can start to narrow in your specific card and getting yourself better pricing information. Also, by adding in some more specific keywords like BGS 9.5, PSA 10 you can alter your search results and narrow on specific versions of your card if it has a serial number, autograph, BGS or PSA grade or any other unique characteristics. Understanding the year, manufacturer, set, player and card characteristics will help you create the most ideal search strings to find your exact card values.